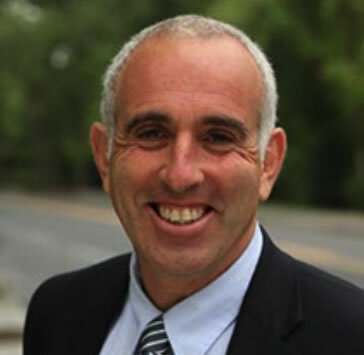 ​A Long Island native, Legislator Jay Schneiderman lives in Southampton Town and is the proud father of two children. After graduating high school, Jay earned a Bachelor of Arts degree in Chemistry from Ithaca College and then obtained a Master of Arts degree in Education from the State University of New York at Cortland. In 1991 Jay became a member of the Town of East Hampton Zoning Board of Appeals, and was appointed to its chairmanship in 1996. He served in that capacity until 1999 when he was elected to the first of two terms as East Hampton Town Supervisor. During his four years in office, Supervisor Schneiderman’s highly effective management style delivered four consecutive tax cuts to the citizens of East Hampton, and garnered the highest municipal bond rating in New York State. From 2000 to 2004 he led the fight to preserve over 1,000 acres of East Hampton’s open space and worked closely with fellow board members to draft long-range plans for affordable housing and drinking water protection. Schneiderman was first elected to the County Legislature in November 2003, he was re-elected in 2005 and in 2007 he won with 70 percent of the vote. In 2009, Jay won with 100 percent of the vote on all party lines and he won with 65.85 percent of the vote in 2011. Throughout his tenure, he has shown independence, innovation and the ability to facilitate positive outcomes for community issues. Jay has taken aggressive steps toward increasing affordable housing opportunities, preserving open space, reducing traffic congestion, keeping our communities safe and working to help our seniors and working families deal with the rising costs of living.